Celebrate the good times with a favor that reminds every guest of how much fun they had! Kate Aspen's Personalized 12 oz. 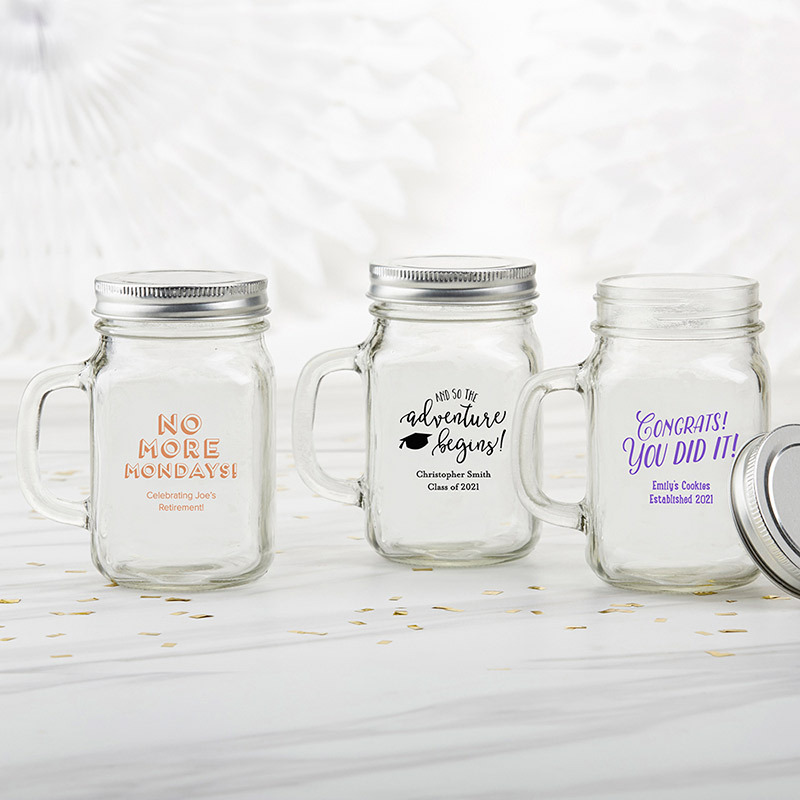 Mason Jar Mug features a Celebration personalized design to create a vintage inspired guest gift that communicates your theme and your personality. The drinking glasses with handles make the perfect rustic drinkware, but a screw top lid also allows them to hold small favors and décor as you see fit!